Valencia 2010 GP2 and F1 Accidents - LiftOff !!! These accidents reveal, how thin the rope which the aerodynamic engineers have to ride on, to get the car on ground at such a high speed (remember, these cars were not at their top speed, when this accident happened). just a small increase in the amount of air-flow under the car, turns the car to a jet plane without flight control cockpit. Also, these accidents reveal, how high the safety measures are in those cars. The driver walking alive after such high speed, high intense crashes, is absolutely amazing. just remembered how the Legendary Ayrton Senna was killed in an accident. This sport has learned a lot and come way far in terms of safety standards. Interestingly, in both the races, the other member of that Team, went ahead to win the Race. Sebastian Vettel for RebBull Racing and Marcus Ericsson for Super Nova!!! years since i joined this IT industry!!! 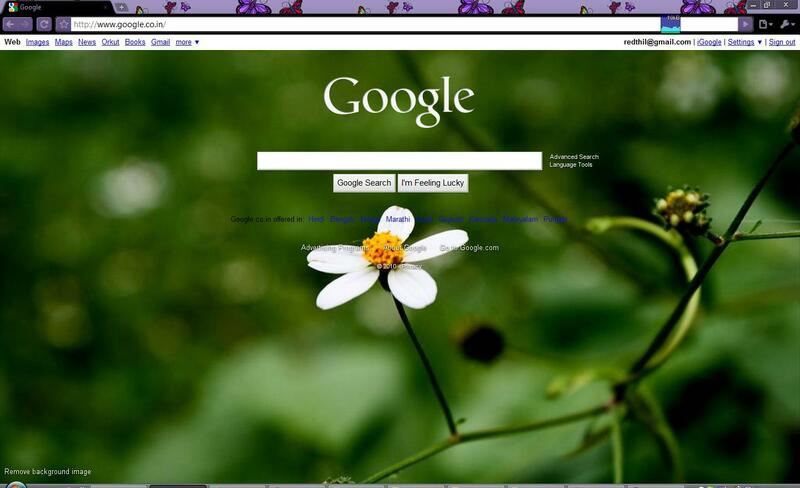 my new Art Google HomePage!!!! I'm not a big fan of FootBall!!! but still, keep on humming this song, since i watched this song!!! created wedding website for my friend! when one of my friend, Pradeep, asked me to create a website for his wedding, as always, the first thing which came to my mind was, it should not be like what we see these days, from the free wedding site creation "mywedding.com". I'm tired of seeing links to this site, when i read friends invite in email. So, wanted to create something different from those usual templates which are there in all these free wedding site creation websites. so, here it is!!! The one thing i personally liked in creating this wedding website is, Pradeep gave me complete freedom of creating anything which i want.. the only thing he said was "i need a wedding website thala!!". And i know, i dont get such kind of freedom to create something like this, and this freedom gives you more motivation to think differently and tryout different things... and Million thanks to him for giving me this precious 'freedom'. "i hope i have done atleast a OK job thala!!!" now the tough part... what about the time it takes for loading this site? well... it seriously takes a while for loading all those images. and i had no other choice to use, other than images, since, i cant recreate those effects using text effects and also, when u use texts, its always dependent on client's browser.. so, to give a feel of what we want, images are the best one (had this been created as a flash site, these images would not have been needed at all). but tried to make the images as small in size as possible, without compromising on the quality of those images. but, once this site is loaded, it'll be a smooth navigation inside the site. since, this is wedding website, mostly it'll be accessed once or twice. its not like blog, where you visit more frequently. hence, this little more loading time, seemed ok for me..
so, how much time it takes for completely loading this site? and these are the objects which is getting loaded in this website..
And Best wishes for a Happy Married Life Pradeep & Pavithra!!! !